1001plus: Think They Work in Queens? Prince of the City comes on two discs. Since the film is under three hours in length, I’m not entirely sure why it ships on two discs, nor do I understand why roughly two-thirds of the film are on the first disc and less than an hour on the second. I don’t understand why this couldn’t have been done as a double-sided DVD, nor do I understand why films that are as long or longer manage to squeeze everything onto a single DVD when that simply couldn’t be the case here. But what do I know, right? All of this would suggest that Prince of the City is a long film, and it is, stretching just under three hours (roughly 167 minutes total) on its twisting way through a tale of dirty cops, cops who are only dirty in the sense that it allows them to get even dirtier players, and just simple dirt. Sidney Lumet’s original desire for the film was to have an unknown in the main role (Treat Williams, in this case, and he did qualify in 1981) and for the film the cross the 3-hour barrier. He got close enough to that one, because I’m not sure what more there is to say about this topic in the film. Prince of the City is going to focus on NYPD narcotics detective Danny Ciello (Treat Williams). 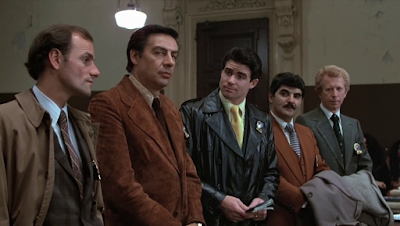 Ciello works in special investigations, a section of the force nicknamed “princes of the city” because they are given almost no oversight or supervision and are often allowed to bend or break some criminal statutes in order to bring in major busts. This includes either buying drugs for informants or simply giving drugs to their informants (both actions are equal in the eyes of the law). And, since the lines between legality and criminality are constantly and repeatedly blurred in this division, many of the cops (including Ciello) are more than willing to skim money, accept a bribe or two, or otherwise get their hands dirty in pursuit of worse crimes and worse criminals. Danny Ciello has connections to the criminal world beyond his own behavior—his brother is a junkie, and he has a cousin who is in with the mob. After rolling and beating one of his junkie informants to supply heroin to another of his informants, Danny starts to wonder exactly what he is doing with his life. When he is approached by internal affairs to help with an investigation into police corruption, he declines, but eventually agrees to help. It’s something of a sweetheart deal for Ciello, involving potentially federal protection. Ciello agrees to all of this, including wearing a wire, but also says that he will not turn in his partners. And, of course, we know how films like this tend to go. Danny is going to do everything he can to avoid turning in his partners. That’s going to include perjuring himself in court, an action that puts all of the arrests and gains made from the investigation at risk. Eventually, we’ll get to the point where the only way forward is for Danny to turn on his partners and implicate them as well, attempting at the very least to get them a part of the sweetheart deal he got for himself. Reactions to this threat are varied, ranging from suicide to clear defiance in the case of Gus Levy (Jerry Orbach). While Prince of the City isn’t a bad movie, it does have some significant issues. The first of these issues that it is absolutely clear where we are going to go here. 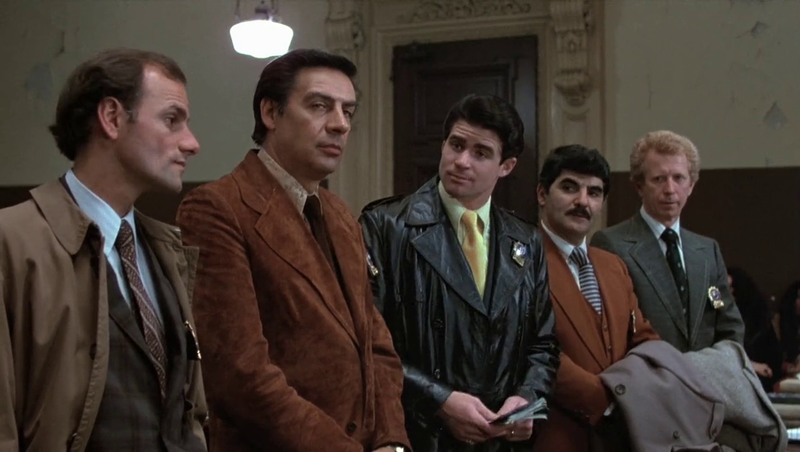 Really, the only question that needs to be answered by the end of the film is whether or not Danny Ciello is going to survive or end up being hit by the mob, drug dealers, burned officers, or someone else. Every other beat of the story is almost clearly planned out for us, and we can come close to not just naming the plot point, but pointing to the very moment when each is going to happen. There are some good performances here—Williams, Orbach, Bob Balaban, and several others, but Prince of the City drags on and on. Admittedly there is a lot of story to tell here, but we spend a lot of time watching Ciello set people up while wearing a wire over and over again. I understand Lumet’s desire to make this an epic-length film, but it was entirely unnecessary. Prince of the City could have told this story in two hours at the most with some deliberate cuts to some of Williams’s more histrionic moments and even more scenes of watching the same characters implicate themselves in crimes yet again. Prince of the City is a decent movie, but honestly, I was ready for it to be done after 110 minutes at the end of the first DVD. I went into the second disc not really that interested in completing the film, because it seemed like a long way to go for where I was sure it was going to go. Why to watch Prince of the City: Treat Williams in a scenery chewing performance. Why not to watch: It takes too long to get to where we know it’s going to go.